Winter Fashion Favorites on Storenvy. As a "Women's Fashion Influencer" on Storenvy, one of my jobs is to regularly check out the new additions to the site and "envy" the items that are my favorites. Since Storenvy is still a somewhat new and growing platform for small shops, I thought it would be fun to share a few of my favorites for this winter season on here. Aztec Waterfall Cardigan in Burgundy from Paper Hearts ≫≫ I love all things with aztec prints and I especially love the burgundy color of this cardigan...so if I owned this, I'd pretty much wear it on the daily. It looks so comfy, without leaving you looking like a slouch. 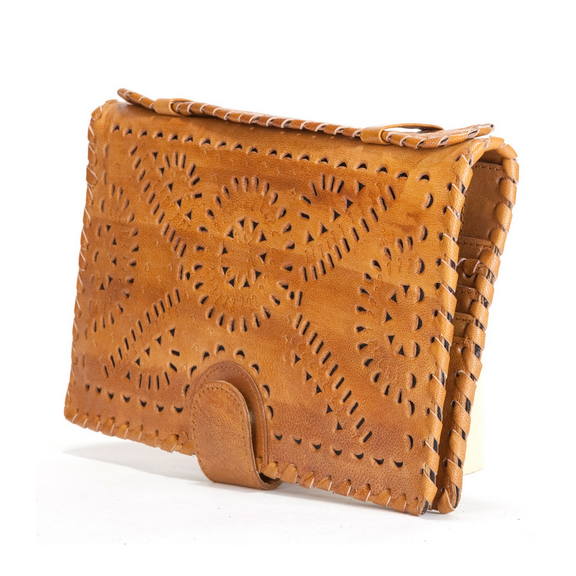 Mexicana Clutch from Meg Biram Shop ≫≫ How pretty is this clutch?! I love the design and it would be nice to not always lug around my huge purse/camera bag/bowling bag (as Dave lovingly calls it). Round Toe Multiple Strap Heels from Love Street ≫≫ I love these wedges and they're perfect if you're having weather like we are in Austin...or you just want to be dressy, even if you're feet freeze. Been there. This camel color is my current obsession and I want it in everything...clutches, shoes, big leather totes...I could go on. Silver Plated Necklace from Storenvy Pop Up ≫≫ This silver necklace is gorrrgeous and would dress up any winter outfit. I love the simplicity of this necklace, it's right up my alley as far as jewelry goes. Warm Cups Sweatshirt by R A I N ≫≫ This sweatshirt says it all and would be perfect for cozying up inside to wait out the snowpocalypse. Bird Tote by Even&Odd ≫≫ How cute is this bird tote?! The perfect little commuter bag if you have to get out in the cold weather. Stuff in a few books and there's still room for all the layers you'll have to take off as soon as you step inside. Fluffy Jacket from Haute Basics ≫≫ I probably never would have picked this jacket out, but recently I've seen a few of my favorite fashionable people sporting these fuzzy jackets like this and I'm still not sure I can pull it off, but I love them! Bullhead High Rise Skinniest Jeans from Favo ≫≫ I love dark, plum colored pants in the winter. I have a pair from Target a few years ago that I wear alllll the time...as you can see here, here, and here. ...What items have been your favorite this season? Let me know in the comments! And if you're on Storenvy, and want to share your shop link or favorite items from the site, feel free to leave those in the comments too!